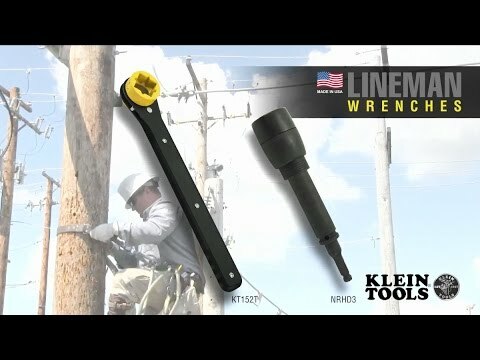 The Slim Ratcheting Lineman Wrench works on four different square sizes, covering all of the common utility pole hardware. The long handle provides plenty of leverage and a tight ratcheting mechanism increases efficiency. The high visibility yellow socket includes a bolt-through design, enabling use on long bolts. Side ridges provide better grip.